This quality T-shirt is available in either Black, White, or Ash (call regarding availability of other colors). 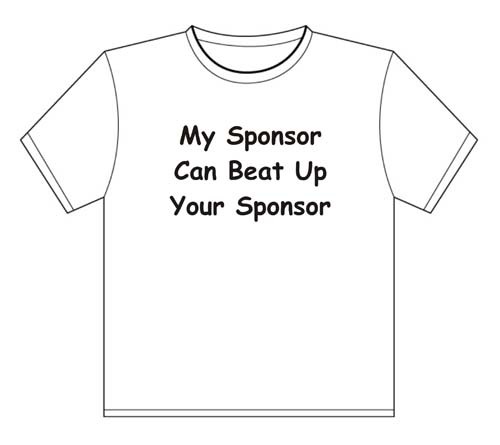 The front of the T-Shirt displays "My Sponsor Can Beat Up Your Sponsor!" What's a Sponsor? Check out: Questions and Answers on Sponsorship.